The anime movie that made it’s UK theatrical release this last week, In This Corner of The World (Kono Sekai no Katasumi ni) has been slated for a Blu-ray/DVD release on September 15. Although the US theatrical debut isn’t scheduled until August 15, there is now the option to pre-order it ahead of time on the Kono Sekai website. 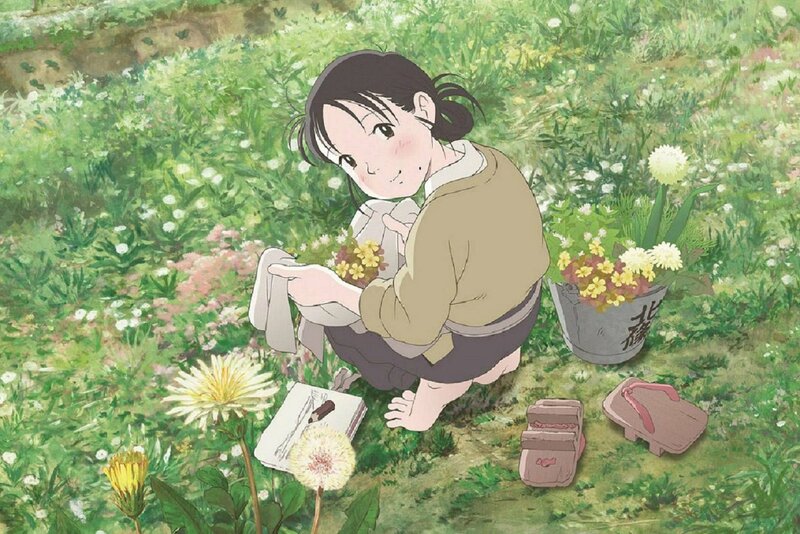 Directed by Studio Ghibli alumni Sunao Katabuchi, the adaptation of the two-year long manga series is about the story of an 18 year old girl named Suzu that gets married and has to prepare food for her family. In addition to the rationing and lack of supplies amidst life in Hiroshima during World War II, Suzu struggles with the daily loss of commonplace amenities while trying to maintain the will to live. The manga turned live action made-for-TV movie turned critically acclaimed film boasts a 100% on Rotten Tomatoes with a rating matched by Only Yesterday, the single other film from a member of the Ghibli camp to hold a perfect score. Along with English subtitles the film will be released in two tiers, further divided into three options of disc quality and movie length. The first tier is a special limited edition two-disc Blu-ray set which will lessen your pockets 9,800 yen and include: a 100 page art-book with book casing, a disc storage case, and a special inner jacket. The film’s standard run-time is 129 minutes, but the limited edition will tack on another 10 to include extra content. Bonus features of this special limited edition will also include image and audio benefits such as: two types of commentary, multiple event and conference videos, theatrical trailers, a “making of” video, and early versions of the film. The second tier is the standard edition, available on both Blu-ray (4,800 yen) and DVD (3,800 yen) and will run the standard 129 minutes. A full list of features available, as well as the site through which to purchase the film or any official associated products, can be found here.